What's in your po' boy? It takes a lot of skill to put together the perfect New Orleans-style po' boy. 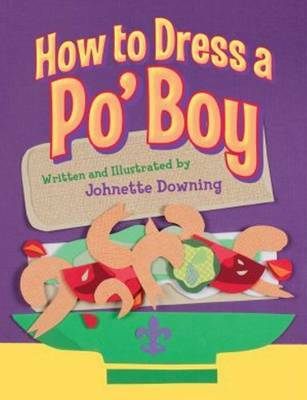 Talented children's author and musician Johnette Downing takes readers through step by step to create this classic meal, adding in a heaping dash of humor. From French bread and Blue-Plate mayonnaise to Creole tomatoes and debris, all delicious ingredients are included. This book is a tasty read for even the youngest child and a great laugh for adults of all ages!